In the beginning the Federal Reserve created the markets. 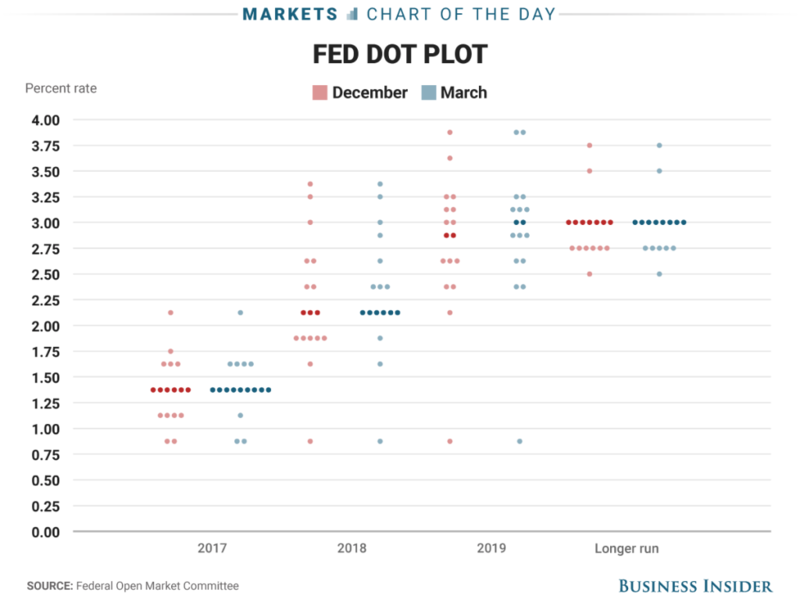 Now the markets were formless and empty but the Spirit of the FOMC was hovering over it. And Yellen said, "Let there only be data-dependent interest rate raises," and there was a 25 bps raise. Yellen saw that raises were good and she separated them from the market. "That's the difference between irony and sarcasm. Irony can be spontaneous, while sarcasm requires volition. You have to create sarcasm." VIZZINI: But it's so simple. All I have to do is divine from what I know of you. Are you the sort of man who would put the poison into his own goblet, or his enemy's? [pauses to study the MAN IN BLACK] Now, a clever man would put the poison into his own goblet, because he would know that only a great fool would reach for what he was given. I'm not a great fool, so I can clearly not choose the wine in front of you. But you must have known I was not a great fool; you would have counted on it, so I can clearly not choose the wine in front of me. MAN IN BLACK: Truly, you have a dizzying intellect…..
"In the land of the visually impaired, the partially-sighted person is fully empowered." So Mother Yellen gave unto the market a 25 bps increase and, according to Matthew Graham at Mortgage News Daily, "[the Market]….offered mid-day improvements that brought rates 0.125% LOWER, on average. 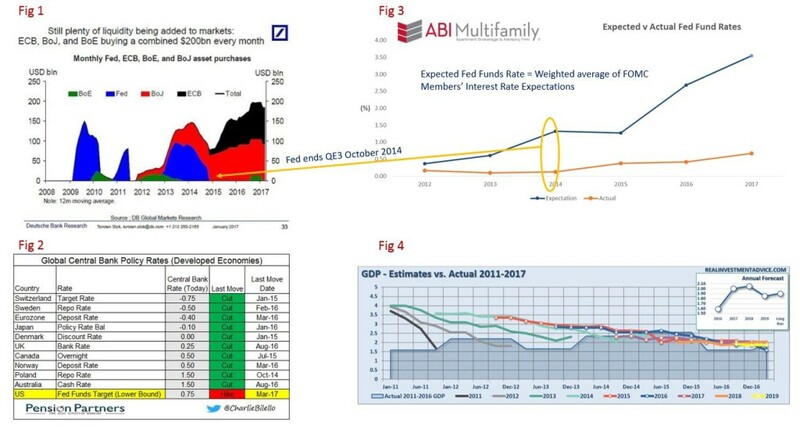 In terms of conventional 30yr fixed rates, most lenders are back down to 4.25% now on top tier scenarios," proving that irony can, at times, be more biting than sarcasm. To wit, I'm not sure this was the effect Yellen expected. What's stunning about the chart below, and I've only seen a few other economists/traders write about, is that not one Federal Governor thinks the Federal funds rate ‘over the long run,' i.e. 2020 and beyond, will be higher than 3.5%, NOT ONE! Let that ‘data-dependent' tidbit sink in. Looking at Figures 1 & 3, the Fed officially ended QE3 at its October 29, 2014 meeting; just as the Federal Reserve halted domestic QE both the ECB (European Central Bank) and BoJ (Bank of Japan) stepped up theirs. Tangentially, albeit not necessarily linked, as other Central Banks increased their QE in 2015/16, and sub-zero interest rates, commercial real estate values in the US skyrocketed. Although values had been increasing starting in 2012/13 from their post-recession nadir, as I've shown in previous posts, the money then fleeing Europe/Asia (c. 2015) did have a peripheral impact on values, if only on the outliers of commercial real estate purchases, i.e. select properties purchased for way higher amounts than what traditional market players would pay. It's important to understand that a trend will not necessarily be seen, aside from tracking which properties are purchased by international investors, rather you must dig into, and comprehend, the market data minutiae to realize how a particular property's purchase can, or will, influence the overall submarket/market. Nonetheless, if you look at the area circled in yellow in Fig 3, coincides with the October 29th decision to end QE. As reflected in the chart, Fed Governor expectations for higher interest rates shot up dramatically with a 3.54% rate expectation by 2017. In fact, the average difference between Fed governor expectation v reality over the 2012 to January 2017 time period was 1.33% with 2016 being the highest at 2.27%. Additionally referencing Fig 4 above, almost every estimate Fed Governors' made about GDP growth, or lack thereof, proved to be higher than the reality or, more simply, they all wear the same rose colored glasses. Just as Vizzini thought he could outmatch Wesley in the Princess Bride's Game of Wits scene, Yellen & Co believe they have tamed the markets through the cunning use of rhetoric. Rhetoric aside, I think Fig 2 succinctly sums up the entire state of the world's markets better than any Central Banker statement ever could. Over half of all the developed economies are operating in a zero-to-negative interest rate environment. 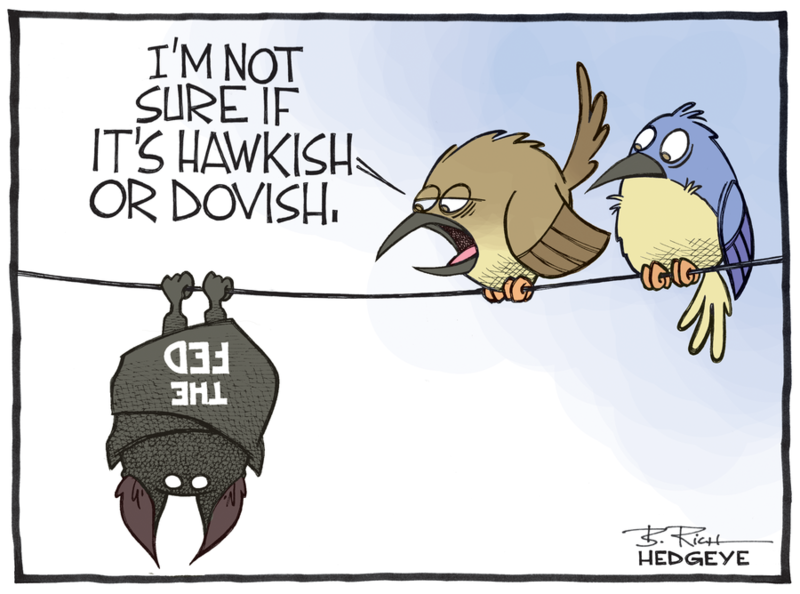 I've heard plenty of analysts say this recent move shows a more ‘hawkish' Fed; my counter-point, how hawkish can a Fed be if they don't ever see the Fed funds rate above 3.5%? With European elections looming for France (April 23) and Germany (September 24), and despite Populist-Geert Wilders loss in the Netherlands, Wilders' Party for Freedom (PVV) claimed an additional 5 seats to 20 (out of 76) thereby making them a more dominant political player. However Dutch politics is less instrumental to the EU, as a whole, than Germany or France. With Turkish PM Erdogan continuing his fascist crackdown on internal dissent and now formally threatening Europe that he will release hundreds-of-thousands of refugees, I expect Europe to explode with volatility over the next 2 years. Domestically, and although the Fed hiked when I expected more of the same, I still don't see the Fed increasing rates more than 50 bps this year if even that much. The reason, I see the Fed growing very concerned about global financial markets, see paragraph above, with the US gradually becoming the final safe investment harbor. Take this sentiment and juxtapose it next to Trump who (#1) by previous profession alone loves debt (can be both good and bad), (#2) with a preference for debt, it's reasonable to assume Trump wants a Federal Reserve willing to inflate and weaken the dollar in favor of trade and (#3) Trump gets to add four of his own people to the Federal Reserve within the year.